Our Popular Girl's Cotton Bike Shorts and Metallic Shorts are super soft, comfortable, and stretchy for a perfect fit. Ideal for school, sports, dance wear, camp, or just relaxing at home. Girls love these fashionable cotton bike shorts with their easy pull on non-pinch elastic band and breathable Cotton and Spandex fabric. Our Metallic Shorts steal the show with their Polyester/Spandex stretch and vibrant colors! SAVE 10% each when you purchase 2 or more. Popular is the ONLY authorized seller of this product. 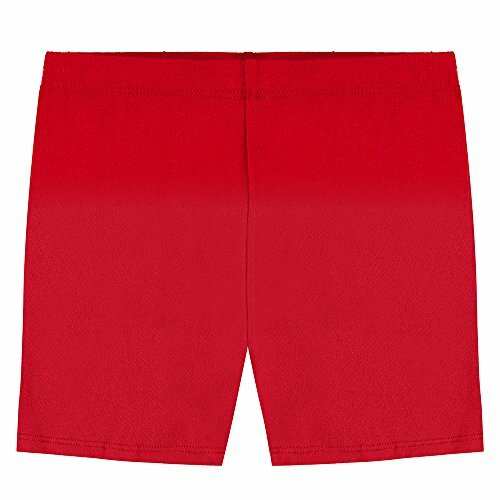 Cotton Bike Shorts: Made of Soft and Breathable Jersey Cotton (95%) & Spandex (5%) material that allow lots of stretch and ease. Metallic Shorts: Made with stretchy Polyester/ Spandex blend. Easy Pull-on with Non-Pinch Flat Elastic Band. Maintenance is a breeze as these shorts are Machine Washable and will maintain color and shape after each wear and wash. Perfect for every day activities, under skirts, dresses, school uniform and active sports. If you have any questions about this product by Popular, contact us by completing and submitting the form below. If you are looking for a specif part number, please include it with your message.